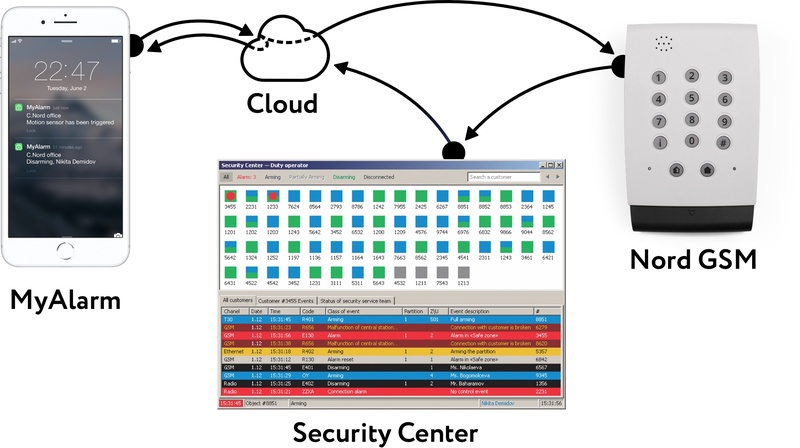 The ecosystem consists of site equipment, monitoring station software and cloud services for a security company. It's free of charge. Cloud services work at fully in a bundle with control panels Nord GSM, Air and Mini and the monitoring station software Security Center. Sends events to Security Center. Sends a site card and events from Nord GSM to the Cloud. Gets information about sites from Security Center and provides cloud services operating. It's a personal account of a security company customer. He / She has access to the site card, event timeline and can remotely arm or disarm the site directly from the app. 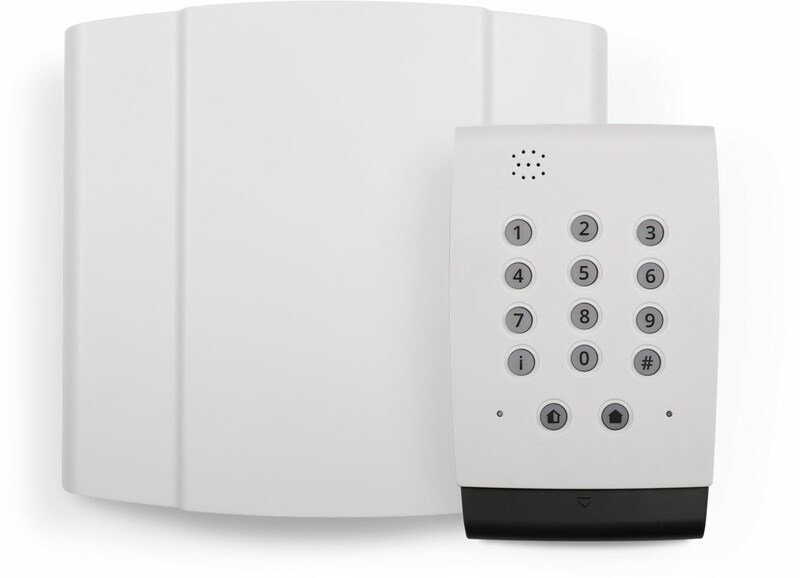 What's happening, when MyAlarm user presses a button "Arm"? 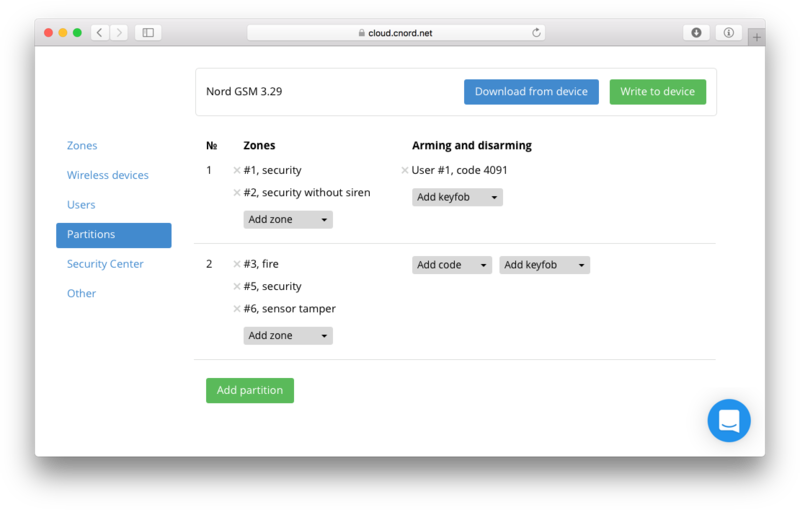 MyAlarm sends the command «Arm» to the cloud. The cloud sends the command «Arm» to Nord GSM. Nord GSM performs the command and informs Security Center about the successful arming the site. Security Center informs the Cloud, that the site is armed. Mobile app synchronizes with the Cloud and changes the status of the site — «Armed». 24000 installations of iOS and Android app. 3000 people a day use the app. An engineer receives permission to connect to the site with Nord GSM for a specific time and remotely configures the control panel. What can you configure via Virtual Expert? Engineer remotely configures the device as well as if he connected to it via USB. Security companies serviced 5600 sites through the C.Nord cloud in April 2017. The cloud stores the current configuration of the control panel. When an engineer connected to the control panel, first he / she edits the site card in the cloud. That's why the web app do not slow down and instantly responds to any actions. Virtual Expert in the section of technical support. 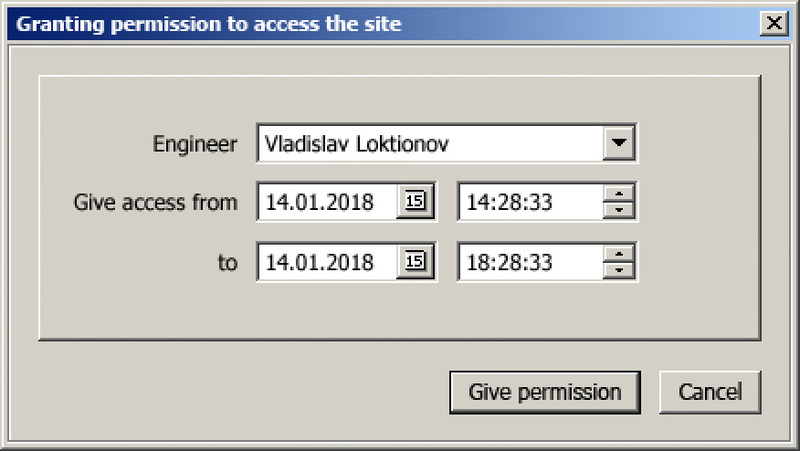 An operator of the Security Center gives an engineer permission for remote access to a control panel for restricted time. The engineer must be login with his / her personal account. All sites, their status, sites in alarm and rapid response teams are on the map. operator assigns a rapid response team to process an alarm. The team receives a full card of the site on the tablet and reports about the arrival via the mobile app. where, in chronological order, there are sensor triggering, operator actions and reports of rapid response team.